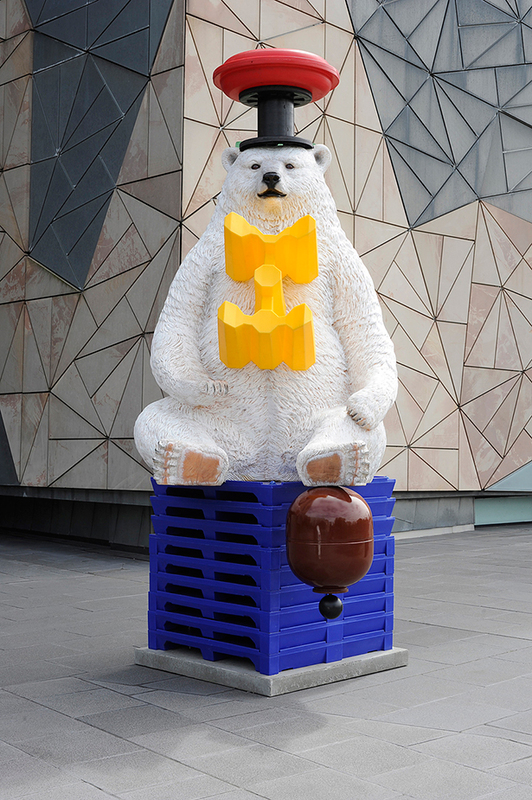 Ursa Major Ursa Major was specifically created for the Melbourne Prize for Urban Sculpture 2014, Federation Square, Melbourne. Catalogue Statement: Ursa Major is an assemblage sculpture that brings together an array of different types of ready-made objects, thus allowing industry, novelty and domesticity to collide. 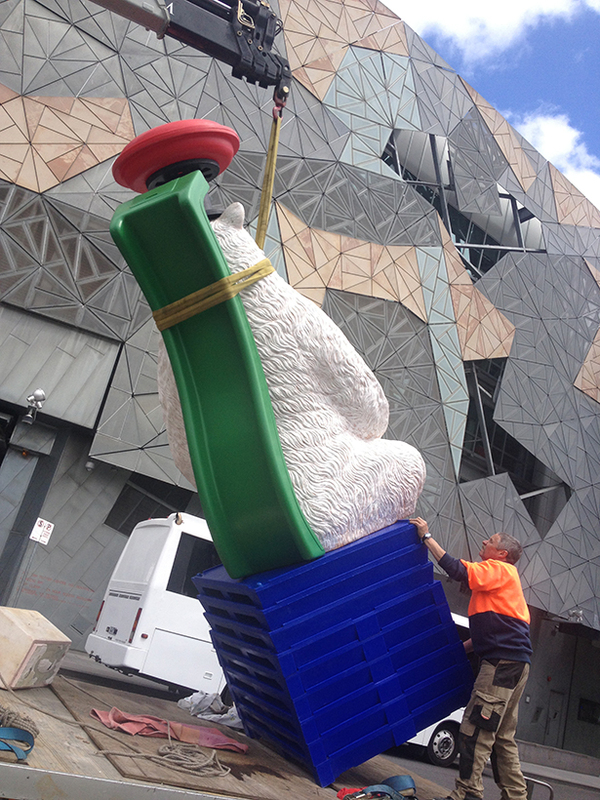 The focal point is an oversized fibreglass bear which is treated as a formal element yet ultimately dictates the final arrangement. 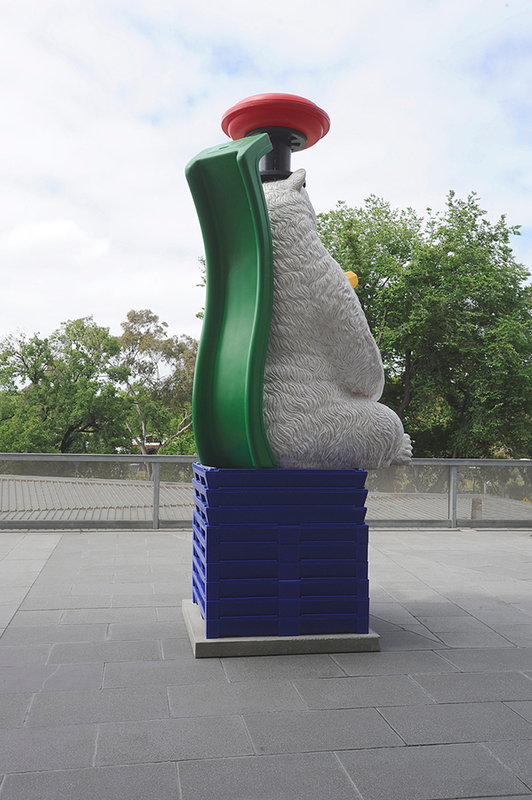 Ursa Major is a large, colourful and boisterous work. 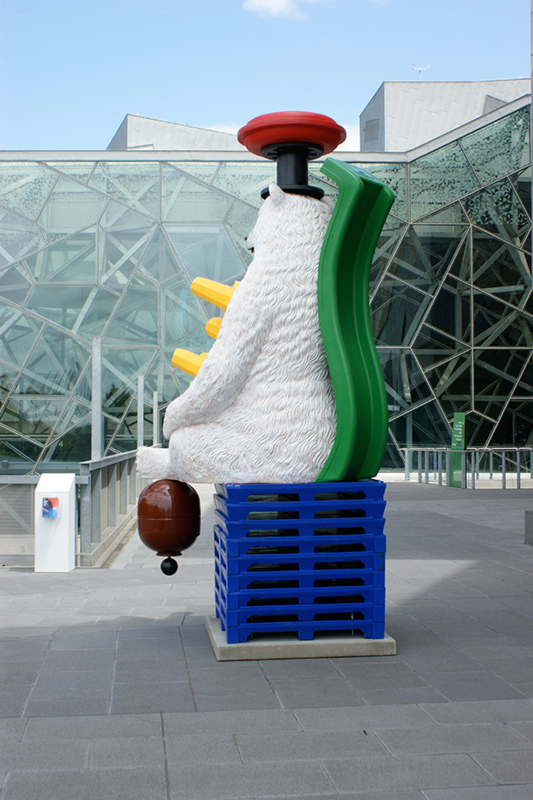 Its position in the backcourt of Federation Square offers a contrasting, contemplative space for the viewer to consider the origins of the parts as well as the harmony of the whole. Visible from inside the NGVA and The Deakin Edge, the piece also connects to interior spaces.